FDP Forum / Fender Amps: 1985 - Current / Red wine DRRI/with the p12q. Anyone here own one of these? Are they worth the extra $100? 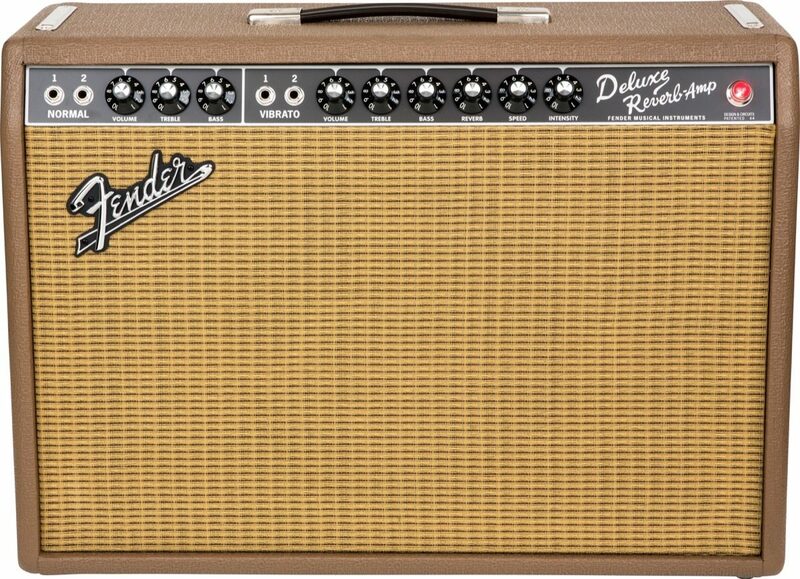 I have one .The difference is the tolex and a different speaker. I have had both and the speaker is less efficient than the standard model. At 4.5 at home it isnt all that loud. This speaker is meant to breakup sooner and getting decent tones at lower volumes is a plus if you use it at home. When I bought mine they were the same price as the normal ones . If those extra features are worth 100 dollars , then they are . It is easy to change the speaker . The red tolex is kind of cool I think. The P12Q is a *terrific* speaker in the DRRI, especially for clean. I tried one and sent it back. It sounded fine, but part of the sound of the Princeton really is a good 10" speaker... with a 12 I thought it actually lost something. Just my experience, might be great for you. If I own another Princeton someday, it will have a 10 in it. Thanks for the input budg and Te 52. Rev... Thanks also, but i was talking about the Deluxe not the Princeton. I was just kicking around the idea of going ahead and getting the Deluxe, instead of the Princeton. When my Blues Junior sells. Why i don't really know, it will probably only used at home. I think there were people out there early on that bought into some of the negativity that a certain American who owned a speaker company (will go un-named... especially here) that spun some un-truths about Sica & Jensen. I have a 74 non-master volume Pro Reverb with those Jensen P12Qs. Being low in efficiency those speakers allow me to open the amp up live (and mic'ed) without getting the stink eye from the bar owner or fellow band mates!!!! Great Speaker if you like vintage American tones. Although I think you got to like Alnico speakers too. The thing about the Jensen RI's is that Sica (the Italian company that owns Jensen) uses a lot of dope around the edges on all their vintage reissues. Dope prevents Cone Cry and Ghost notes by the way. (pretty rare with Jensen RIs from what I know) also, the heavy dope attributes to the low efficiency of the speaker lines. I wonder if the originals were like the RI's & heavy doped? and what we now hear (after 50+ yrs ) is the result of just time. From what (Sica) say RI's are close recreations. Don't know... but what I do know is that I like Jensens RI's (Alnicos or Ceramics)a lot once they get broken in. Are they the best speaker? ??? What is? All this is so dependent on individual taste. How long you think it would take to break in the Jenson Alnico speaker that comes with the DRRI? I probably would only be playing that amp 2 to 3 hrs a week at volume 3 or 4. That's some heavy dope.. honestly probably 6-12 months of normal playing. Problem is people don't wait as long as they should before moving on from a speaker. With Jensen RI's They read someone's post on the internet that says "Webers or Jupiters or WGS are so much better" and jump ship. Webers 12F & 12A.. are brighter and tighter than Jensen RIs Ps & Cs Yet hold up just a little bit better when pushed. (TWeber likes a tight voice coil) Do you like a bright speaker? cause you get more of it moving to a Weber. WGS G12C is darker than all three Webers, Jupiters & Jensen RIs (don't know about WGS alnicos ) very smooth though and have a great blues tonality for an American voiced speaker. With most Webers, Jupiters, and WGS, their speaker are higher in efficiency than Jensen RIs! See the last post! Weber pushes lightly doped speakers, lightly doped speakers are more sensitive and efficient, however, see the previous post on dope! I should note a lot of us "old timers" like that grit (aggressive mids) all the speakers mentioned have aggressive mids but the Jensen RIs leads the pack. I bought one in 2013 so it's 5 years old now. I don't recall how long it took for the speaker to break in but I don't recall it being excessively long. The DRRI with the P12Q is a sweet amp. It is my most used amp and I have a lot of amps. I eyed one of the wine red DRRIs for a while, but when I saw the Limited Edition Fudge Brownie edition (also with the P12Q), I couldn’t resist any longer. You two are making me gas for a DRRI! I love my P12Qs in my Pro Reverb. The Jensen C12K is another great speaker. I see its the OEM for the stock DRRI. Think Fender got that right too. I see people pulling out a Jensen C12K and putting in a WGS G12C. Talk about a waste of time and money. They are sooo close in sound and performance. After a speaker breakin with my p12q I like this version a lot.